Taxpayers and farmers are collectively committed to pay more than $800 million for eradication of Mycoplasma bovis. It is therefore reasonable that they are provided with good information as to how eradication is proceeding. Unfortunately, the current information from MPI is not the full story. At the heart of the problem is the unwillingness of MPI to admit many of the things they do not know or are uncertain about. As one senior MPI person said to me in an unguarded moment, we would come across as clueless. MPI likes all messages to be simple. Also, a key principle of command and control operations (a term used by MPI) is that social licence must be maintained. In that environment, the truth gets compromised. One issue that has been compromised is the number of properties for which NODs (notices of direction) have been issued. These NODs can be serviced under either s121 or s122 of the BioSecurity Act. However, only s122 properties are included in the public figures. In total, by 22 January 2019 there had been another 917 NODs under s121. More on that below. Until now, it has been widely assumed that only properties assessed as IP (infected property) are ‘depopulated’ to use the official term for herd culling. There are 96 of these officially listed IP farms to 1 March 2019. However, slaughtering also occurs on both RP properties and with s121 NODs, which MPI does not publicly acknowledge. More too on that below. Perhaps most importantly, MPI has failed to clarify that it is increasingly using an antibody test of bulk milk as well as the PCR test. The public figures of infected farms identified through the bulk-milk tests are only through the PCR test which is known to have low sensitivity and hence lots of misses. This last spring, only three farms were found that way with PCR and this is the figure that MPI keeps repeating. However, what is unstated is that more than 50 farms have been identified as high-risk through bulk-milk tests for antibodies. Within MPI, there has been considerable discussion in recent months that herd depopulation should also be based on milk and blood antibody levels as well as PCR positivity. There is evidence MPI has indeed moved to this in recent weeks. But nothing has been said publicly. There are also other things going on in the background. For example, some heifers recently exported to China went positive to Mycoplasma bovis while they were in quarantine in China immediately after unloading from the ship. China and other countries do not require testing for Mycoplasma bovis prior to shipment as it is already present in China and is not considered of major importance) So in itself, this is not necessarily a disaster, although the politics do have potential to be messy. But the positive results do create lots more trace-backs to be done in New Zealand. Some months back, it was publicly identified that Mycoplasma bovis had been found within the huge (15,000 animal) Five Star beef feedlot in Mid Canterbury. Initially this was assumed to be just one pen of 44 trace animals, but apparently it is more widespread, with this also being known for some months. Did the disease transfer within the feedlot from pen to pen or is it actually more widespread within our national beef herd? Either way means a big problem, but nothing has been said publicly. And now some explanation on the above issues. First, the difference between s122 and s121 NODs. The s122 NOD is issued when a farm is considered to be of risk, and so the farm is not allowed to sell any stock to other farmers. Losses are fully compensatable, at least in theory. In contrast, an s121 is issued when animals are to be tested either by nasal swabbing or else by slaughter. By January 22 there had been 917 of these. I obtained this information through the OIA. According to MPI, many of these will be multiple NODs, and so the affected farmers will be less than 917. How many less, is apparently not known. What is known is that many farms are having animals slaughtered under s121. A key issue with s121 NODs is that compensation is only payable for the animals that are slaughtered. This creates a huge moral issue for graziers who agist young stock and dry cows for dairy farmers. If a grazier tells his clients that he is under S121, then no farmer will send stock to him. MPI’s current position is that this consequent loss of business is not compensatable. This is leaving some highly leveraged farmers in an untenable position and having to sell land with banks withdrawing support. I am advised by MPI that they are acting on advice from Crown Law. However, my attempt through the Official Information Act to see this advice has been declined by MPI on the grounds it is privileged information. My own view is that Crown Law must have misunderstood the realities – after all they are not experts in farm management. The reality is that these outcomes are a direct consequence of the s121. 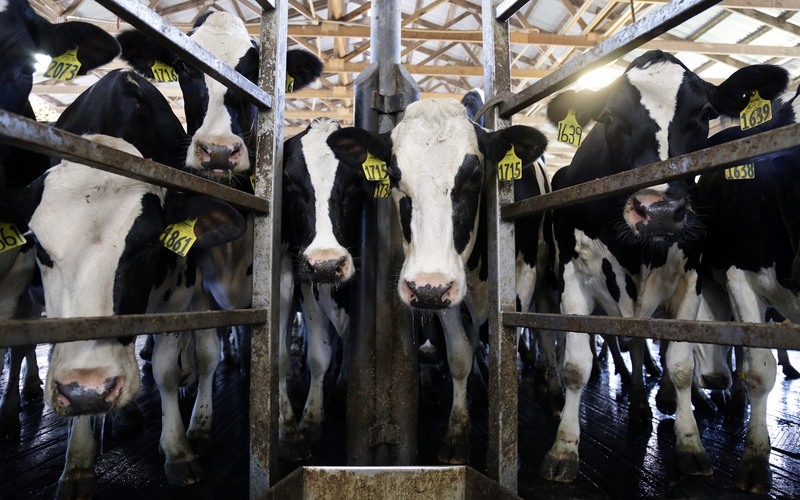 Perhaps the biggest concern right now is the situation of more than 50 farms that have been identified as high risk from the bulk-milk antibody tests. This is a relatively new test (it comes from Belgium) and there is uncertainty regarding its accuracy under New Zealand conditions. Until recently, MPI was not even classifying these bulk-milk antibody farms as NOD and farmers were free to trade. However, they are all now classified as high-risk farms with movement restrictions. It seems that many of these are in Southland and they do not link in nicely to the supposed original Southland farm. It is no surprise to me that many but not all of these farms are in Southland. I have always seen it as highly questionable whether the Zeestratens were either the original or only source, and way back last winter I alerted MPI to multiple Southland farms, with no links to the Zeestratens, that needed to be under surveillance. Over recent weeks I have known that something was afoot that we were not being told. It was the only conclusion from the MPI behaviours that I was seeing in the field, with specific farms being zeroed in on with no plausible explanation given to the farmers. It was the release of the TAG (Technical Advisory Group) report of 24 January, and released in mid-February, with its reference to bulk-milk serology tests, that provided an explanation. Right now, MPI is suffering from a loss of credibility. It’s time to stop the spin doctoring. By being upfront with what is known and not known, it may well be that some people do decide unfairly that MPI is clueless. However, others who recognise the complexities will congratulate MPI for telling it as it is. As to whether Mycoplasma can be eradicated, I do not know. I need more information to answer that. All I know is that the risks are being greatly underplayed. so many people in govt and local bodies are on these short term employment contracts. I was talking to a guy from our council, they keep him on two year contracts but I have heard of lots of six month contracts. He never knows how long he will be employed and whether he should be job hunting or not. This must keep a lot of people permanently stressed, more interested in the perception of how well they are doing than upsetting things by sticking their neck out.